Lego Minifigures Online launched last year and you probably didn't know it. So now Lego's trying again, without all the gross free-to-play hooks. 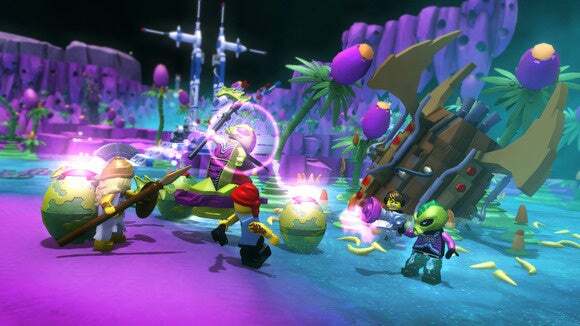 I’ll admit: Most of my Lego hype these days is centered around Lego Dimensions, the upcoming Skylanders-esque game from Travelers’ Tales. And that’s because it has Portal Lego sets. Portal. I mean, come on. But Dimensions is actually Lego’s second attempt at a Skylanders/Amiibo “toys-to-life” brand. It’s just…the first time around didn’t go so well. 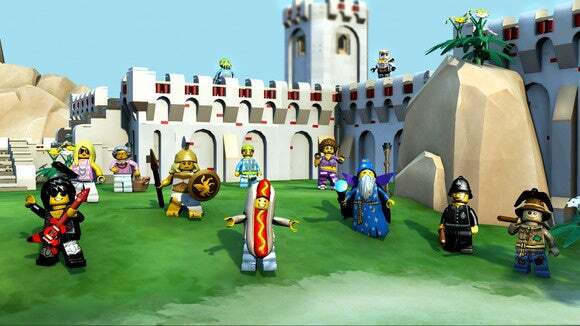 That first attempt was a little game called Lego Minifigures Online, and I checked it out at GDC 2014. 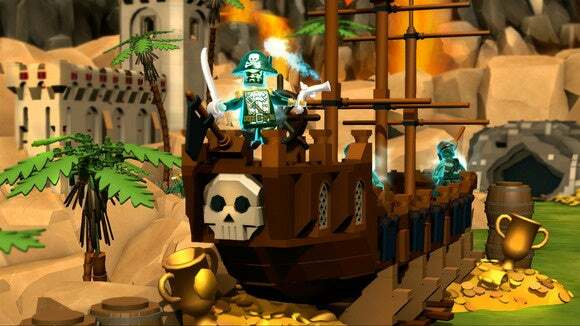 Developed by Funcom, Minifigures Online was focused more on the classic Lego sets (Pirates, Space, etc.) than the third-party tie-ins of Dimensions, but it featured aspects of the same “buy our toys to use them in this game” model. Or you could go through the Diablo-alike as a free-to-play game, albeit very slowly. How successful was it? Well…I get paid to keep an eye on games, and frankly I didn’t even realize Minifigures Online had come out. My article from GDC 2014 even says it was aiming for a “fall release” and I didn’t notice. So yeah. What’s a company to do in those circumstances? Apparently strip out all the free-to-play stuff and re-release the game as a single, all-in-one package launching today. Can you still buy Lego figurines in the store and input the codes to unlock them in the game? Sure. Or you could not, and just play until they’re unlocked naturally. It’s interesting to see a game go from free-to-play to buy-to-play, considering most MMOs have headed the opposite direction in recent years. There’s no subscription though, so it really is just “Pay $30 and play all of the game’s content,” which is a relief. Aside from the change in price, I didn’t notice much difference between Minifigures Online now and a year ago. The game still plays quite a bit like Diablo-lite in that you’re clicking-clicking-clicking on enemies with a variety of unique minifigures—for instance, the grandma throws kittens and balls of yarn at enemies. One big change: The premium price allowed Funcom to go in and fully voice all the dialogue, including narration by “Oh hey, it’s that guy from The Stanley Parable.” It sounds classy. So yeah, maybe it’s time to check this one out for real now? The game still seems pretty easy, although we were given extremely overleveled characters for our demo. I don’t know yet how it would play if you started from scratch, though I have review code now and intend to try it out. I get the feeling it could be a fun game for parents and kids to play together though, especially removed from the threat of “BUY MORE OF OUR TOYS” that comes along with any Skylanders-esque game. Go ahead, dad and mom. Breathe a sigh of relief. You’ve earned it.